The medical term of hair loss problem is the Alopecia. 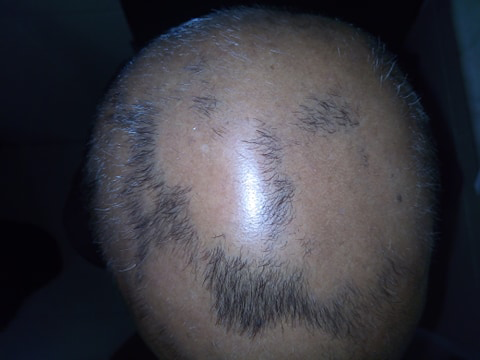 Alopecia Areata means hair loss in round patches from the scalp of the head or even anywhere in the body. Hair may grow back but start to fall again. This can last for several years. This is not a contagious disease. It is an autoimmune problem which attacks the hair follicles. There is no complete treatment for Alopecia Areata, but there are several ways to grow hairs back and to slow down the hair loss. The treatments may not work well for some people. It requires several trials and error to find the what works for someone. In many cases, Alopecia Areata begins with an itchy, irritating, and dandruff-filled infection. The most concerning thing is that the Alopecia Areata can spread out like a wildfire. It can develop in 2 to 3 patches in a night. 1st stage: solitary patch stage: This is the early stage and so, the best stage to treat as the treatment respond well in this stage and ensure 100% regrowth of hair. 2nd stage: multiple patch stage: In this stage, 3 to 4 patches co-exist. Full recovery is possible in this stage but it may require more time to show the effects. 3rd stage: body hair loss stage: The hair loss is spread out from the head to the other body part like beard and mustache in men and eyebrows on women, and the arms and legs etc. 4th stage: complete hair loss: In this stage, hair loss from every part of the body is seen. 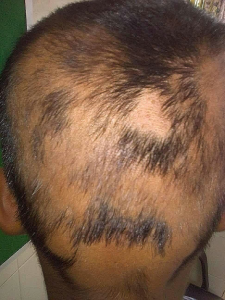 This stage is also known as Alopecia Totalis. There are topical medicines, oral medicines, and natural remedies to stimulate the hair growth and reduce the rate of hair loss. On the doctor’s prescription, topical medicines can increase the hair growth. The medicines are minoxidil, Anthralin, and corticosteroid creams like clobetasol, foams, ointments, and lotions. Besides these, topical immuno-therapy is also used to stimulate the regrowth of hair. In this process, a chemical is applied to on the skin. All these treatments can cause rash and irritation. Moreover, steroid medicines are used as injections to inject on the bare skin of the scalp. For extensive Alopecia, cortisone tablets are prescribed. Oral immune-suppressants are also used to block the immune system and regrow hair. these suppressants can be methotrexate and cyclosporine. These medicines cannot be used for a long time because it can negatively affect hypertension, liver and kidney issues. One of the efficient therapy is the phototherapy or light therapy or photo-chemotherapy. In this therapy, a combination of an oral medicine named psoralens and UV light is used. Besides these, other therapies like aromatherapy, acupuncture, micro-needling, probiotics, low-level laser therapy (LLLT) are used. As natural cure various types of natural elements like vitamins, like zinc and biotin, Aloe Vera drinks and topical gels, onion juice rubbed onto the scalp, essential oils like tea tree, rosemary, lavender, and peppermint, other oils like coconut oil, olive oil, castor oil, and jojoba oil etc. Moreover, the autoimmune protocol is also used. It is an anti-inflammatory diet that is known as the restrictive diet which includes meats and vegetables. Regular scalp massage also works for increasing the hair growth. Some herbal products containing ginseng, green tea, Chinese hibiscus, and saw palmetto works to stimulate the hair growth. Treatments may not be effective for some persons. In fact, the effectiveness varies from person to person. Many people try more than one treatment to get the result. 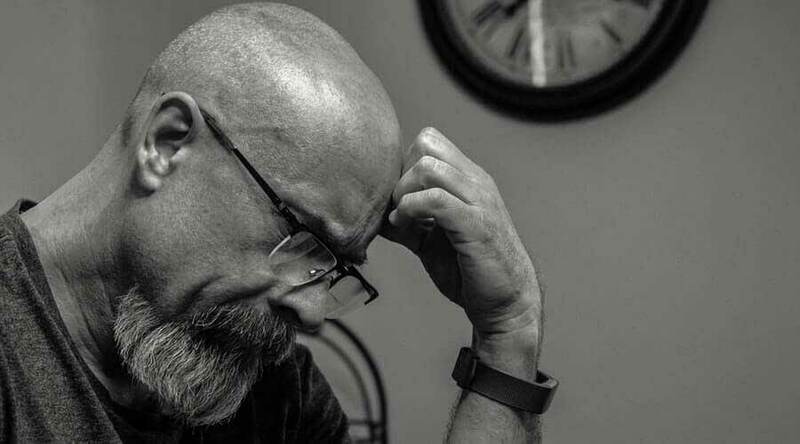 Alopecia Areata causing baldness in men and women throws a challenge for everyone to cope up in the social arena. Non-uniformed hair loss makes it more difficult. Many people feel depressed and traumatized. They actually need to change their lifestyle and attitude to adapt to the challenge. This becomes a pressure and tension for young adults as they have to face bullying and teasing. There are several options to cope up with this problem like wigs. There are new wig technologies like vacuum wig which is waterproof too. The bare patches of the head can be covered with a hat or stylish scarf. Now a day, a new style is adopted to cover up the hair loss. This is to remove all the remaining hair by shaving or the laser hair removal system. Show off this style with attitude can reduce the depression. Sometimes, hair can make it difficult to find a good life partner. The partner should be supportive and understanding too. Hair loss makes the dating and other social experiences difficult too. People try a lot to find a proper solution for the hair loss. But most of the treatments are ineffective and so, people must adapt to cope up with the hair loss socially.